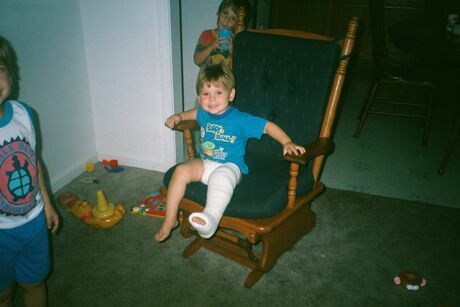 Little Matthew broke his leg and wound up with a cast for four weeks. Poor little guy, it seems everything happens to him. In the background are his brothers: Joshua, and Andrew.